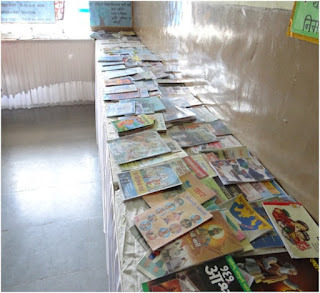 A Book Fair was organized by Door Step School on 26th of August at a Pune Municipal Corporation’s School in Kothrud area. We are very happy to say that it was a success. The children enjoyed the fair. 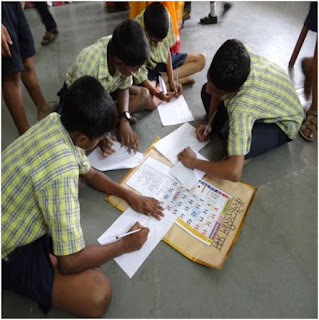 It had 8 stalls showcasing various reading materials like around 50 different newspapers, weekly and monthly magazines published for children, numerous books, rare books lent by Pune Marathi Granthalaya, etc. 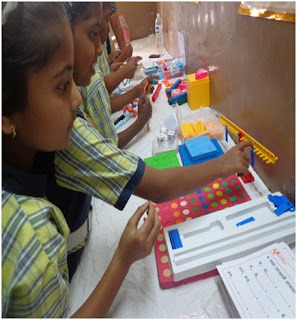 There were interactive stalls where students tried their hands at art and craft, and also used few Maths learning tools. Small scientific experiments were also demonstrated to the children. There was a stall where stories were told using puppets. * Students from nearby schools also visited the book fair. 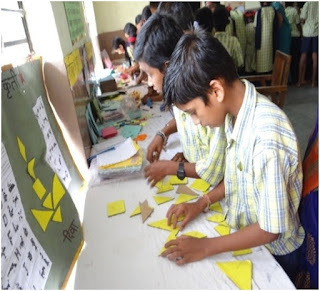 Similarly, teachers from Warje, Dhayarigaon, Karvenagar and Ramnagar PMC schools attended the fair. Some students had brought their parents along. More than 1,400 students, 78 parents, 17 teachers from various schools, and all the teachers of Digambarwadi PMC School visited the book fair. * We would like to appreciate the children from our CG’s who helped us in organizing the fair. CG from Ramnagar PMC School had come to visit the fair. 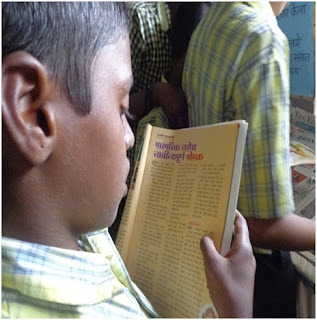 After going back to their school, they convinced their class teacher to send the entire 7th standard for the fair. They themselves brought these children. * A physically challenged girl from Karvenagar PMC School, who moves around in a wheelchair and cannot speak properly, was so determined to visit the book fair that her father took leave from his work and brought her to the fair along with the mother and two other girls from neighbouring house. * Teachers from Digambarwadi PMC School walked down around 122 children to visit the book fair.